Details about the next edition of the longest running underground mixtape on the planet have been released! After the extremely successful UGH64 featuring G-Mo Skee, UGH 65 will be hosted by Bizarre and King Gordy of LARS! There are THREE different packages to choose from, and for details and pricing, you can drop an email to undergroundhustlin@gmail.com! To see more about the packages, check the description below. Straight out the haze and ready to raise hell, the Last American Rockstars are ready to host and roast on UGH 65. Bizarre and King Gordy return to the UGH series as Miles High Davis and Blaxl Rose. 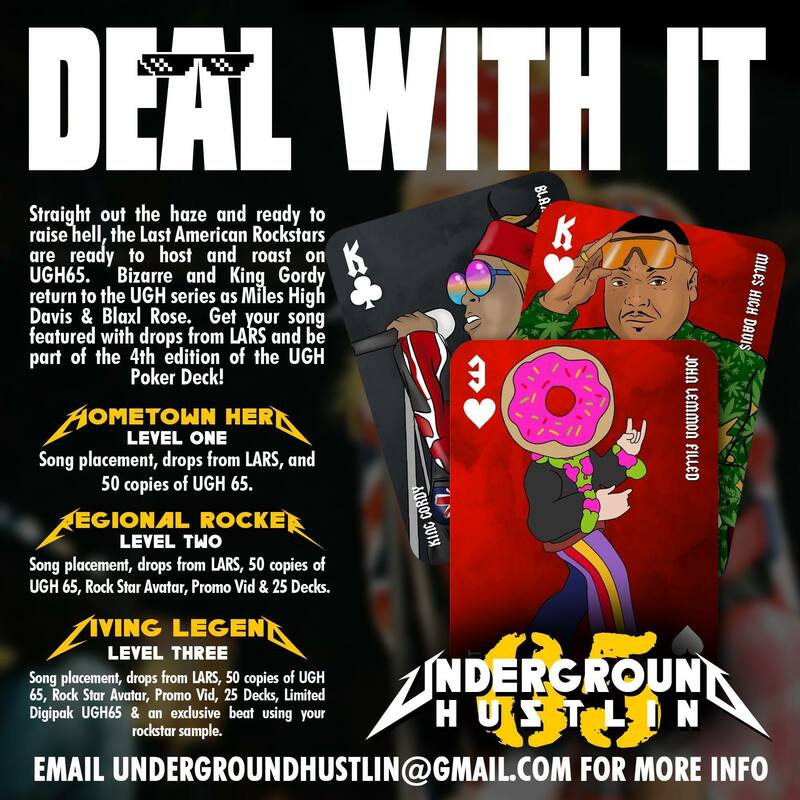 Get your song featured with drops from LARS and be part of the 4th edition of the UGH Poker Deck! 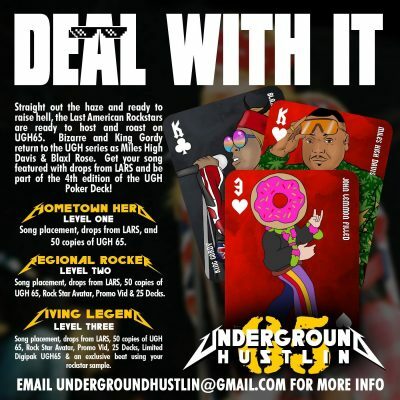 Living Legend (Level 3) – Song placement, drops from LARS, 50 copies of UGH 65, Rock Star Avatar, Prmo Vid, 25 decks, Limited Digipak UGH65 and an exclusive beat using your rockstar sample.